The Washington Times is reporting that the Bureau of Alcohol, Tobacco, Firearms and Explosives (ATF) is blocking”whistleblower” special agent John Dodson from publishing a book on the ‘Fast & Furious’ government gun walking scandal. The ATF is claiming that the book would hurt moral in the agency. Really, that’s your reason? The First Amendment is being shredded because the ATF is worried about morale? It is more likely that Attorney General Eric Holder and President Barack Obama are more worried about the information that will come out that will be embarrassing to them. With all the scandals plaguing the Obama White House, Obama does not want to have to revisit this not-so “phony” scandal. The Bureau of Alcohol, Tobacco, Firearms and Explosives is blocking the main whistleblower in the Fast and Furious case from publishing a book, claiming his retelling of the Mexico “gun-walking” scandal will hurt morale inside the embattled law enforcement agency, according to documents obtained by The Washington Times. 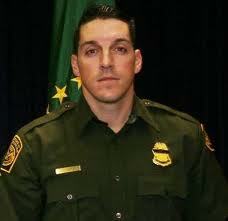 The Fast & Furious gun walking program during the Obama presidency has lead to the death of border agent Brian Terry and allowed the guns into Mexico where they were responsible for countless number of murders. UPDATE I: ACLU says ATF blocks whistleblower book on scandal. 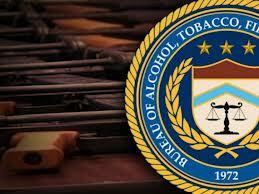 The ACLU charged that the federal Bureau of Alcohol, Tobacco, Firearms and Explosives is worried that the book proposed by an ATF agent would hurt relationships with other U.S. law enforcement agencies. In a six-page letter to ATF Deputy Director Thomas Brandon, the ACLU said the bureau’s decision to block the book proposed by Special Agent John Dodson was a violation of his First Amendment rights. The ACLU described Dodson as a whistle-blower. According to the letter, the ATF denied Dodson’s request to try to publish a book about his version of the Fast and Furious scandal because the bureau predicted it would have “a negative impact on morale in the Phoenix (Field Division) and would have a detrimental” impact on ATF relationships with the FBI and the Drug Enforcement Administration. Well, if Democrats can’t play the race card, they are all too willing to play the victim card … or both. 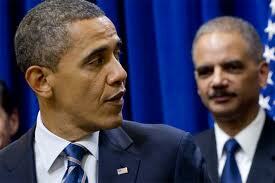 Attorney General Eric Holder has played the victim card. Holder stated that the Republican House have made the “Fast & Furious” gun walking program a politically motivated investigation during an election year and used him as a proxy to attack President Obama. The House voted last week to hold Eric Holder in criminal and civil Contempt of Congress. Actually, the only reason why the “Fast & Furious” scandal has lead to an election year was because of the delay and stall tactics by Holder. Had he handed over the requested documents when they were first asked for, this would have been over months ago. Instead Holder wants to play the victim, but like states at The Gateway Pundit, this could have nothing to do with getting documents and information as to the gun walking program and the death of border agent Brian Terry and finding answers for the slain agent’s family. Ya got my back, right dude? Attorney General Eric H. Holder Jr. sharply criticized lawmakers Monday for voting to hold him in contempt of Congress last week, saying Republicans have made him a “proxy” to attack President Obama in an election year. In his first interview since Thursday’s vote, Holder said lawmakers have used an investigation of a botched gun-tracking operation as a way to seek retribution against the Justice Department for its policies on a host of issues, including immigration, voting rights and gay marriage. He said the chairman of the committee leading the inquiry, Rep. Darrell Issa (R-Calif.), is engaging in political theater as the Justice Department tries to focus on public safety. So let’s get this correct, Eric Holder thinks he has done nothing wrong and this is all about an concerted effort to get Barack Obama? Really Mr. Holder, that is your final answer? Who is playing politics? Could anyone really be this arrogant? It is hard to believe that a White House could be so insensitive to a slain border agent’s family in refusing to get to the bottom of what happened, who knew what and when. A note to the Honorable Eric Holder, the only victim is Brian Terry, his family and the individuals killed in Mexico as a result of this failed program. It is pretty hard for the Barack Obama White House and Democrats to claim that the actions by the GOP is a political witch hunt when there is a US Border Patrol agent Brian Terry dead. It is disgusting that Obama and Holder obstruct the investigation as to what happened with Fast and Furious when in the end, a border patrol agent lies dead as a result of the gun running operation. 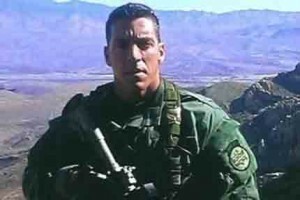 Watch the VIDEO below of the parents of Brian Terry speak out and how they feel about President Barack Obama and Attorney General Eric Holder. Obama is going to have a ahrd time shaking this scandal when at the heart of it there is a face and a grieving family who wants answers to their hero son’s death.